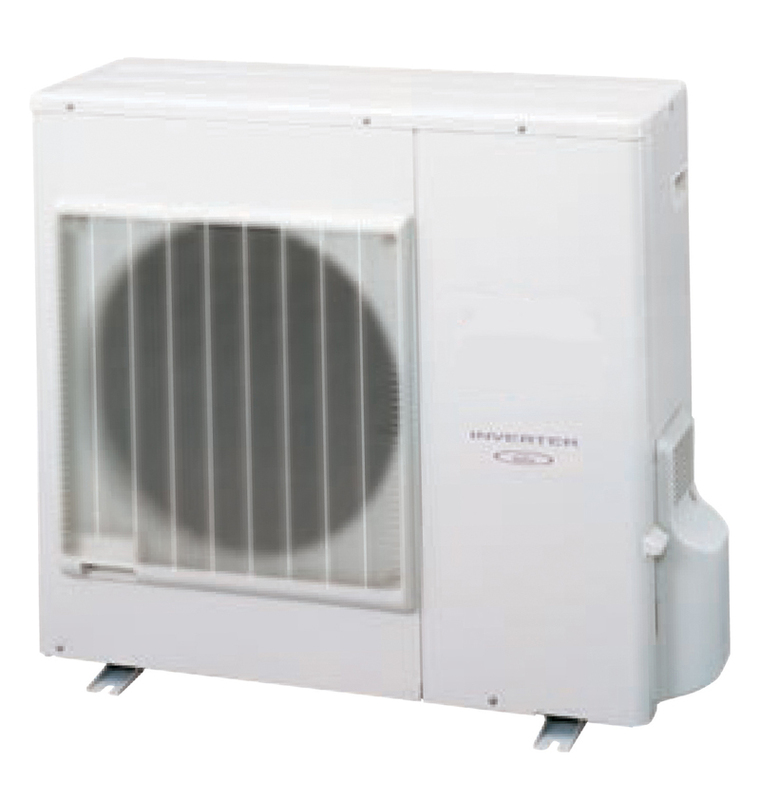 The concealed solution can be delivered with four heating capacities, 9.1 kw, 11.2 kw, 12.7 kW and 15.5 kW. The indoor unit is hidden away in a loft space / attic and the only visible parts are ventilation grilles. Air distribution is through hidden ducts. 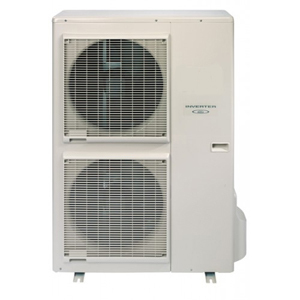 Air is distributed from the indoor unit to the different spaces / rooms that need heating. Dampers may be fitted to regulate air flow/temperature. 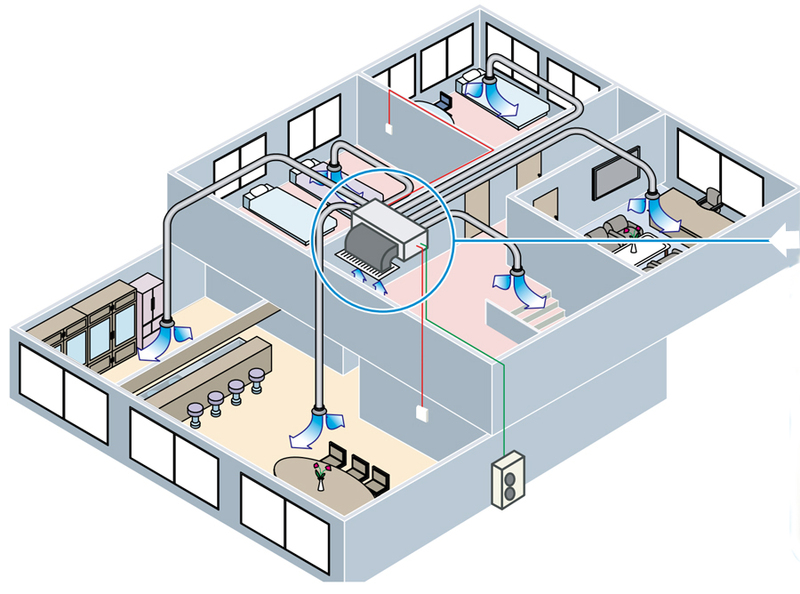 The return air to the indoor unit is either collected through vents in each room or directly under the indoor unit. Each vent is only 200 * 200 mm or 150 * 150 mm. 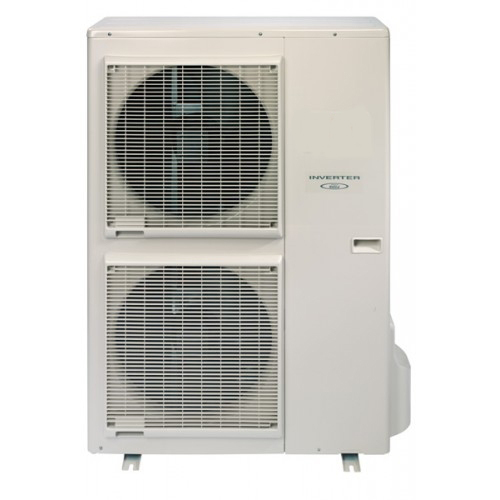 High capacity heat output - up to 31.5 kW. Requires 3 phase electrical supply.